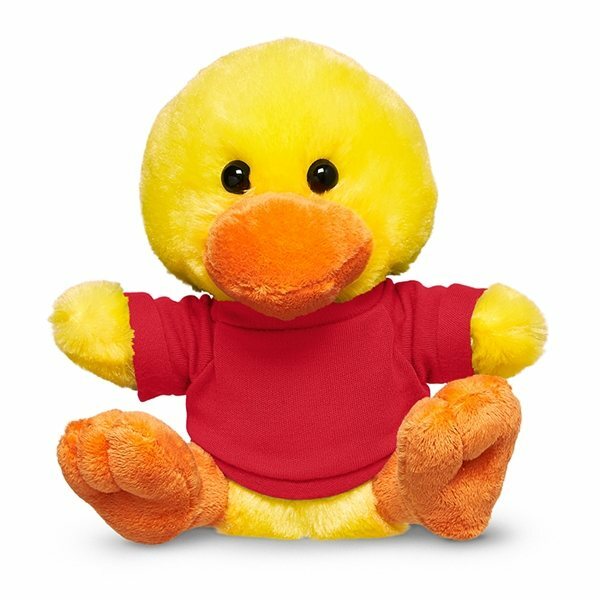 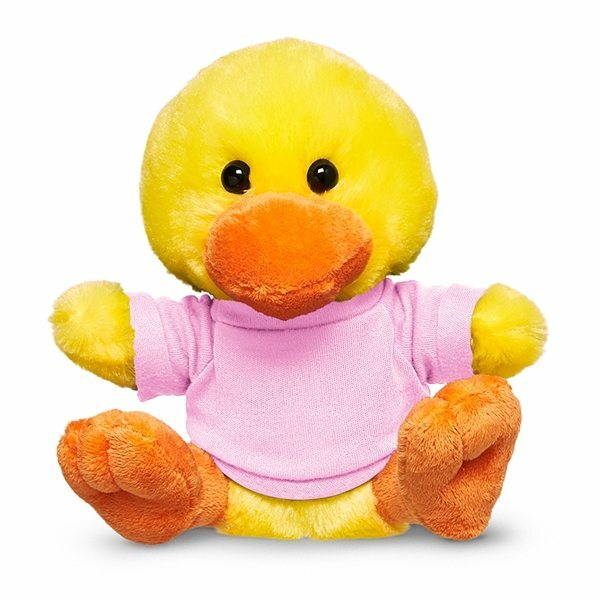 Adorable yellow plush duck available in your choice of 9 T-shirt colors. Our plush toys feature logo on the T-shirt only. 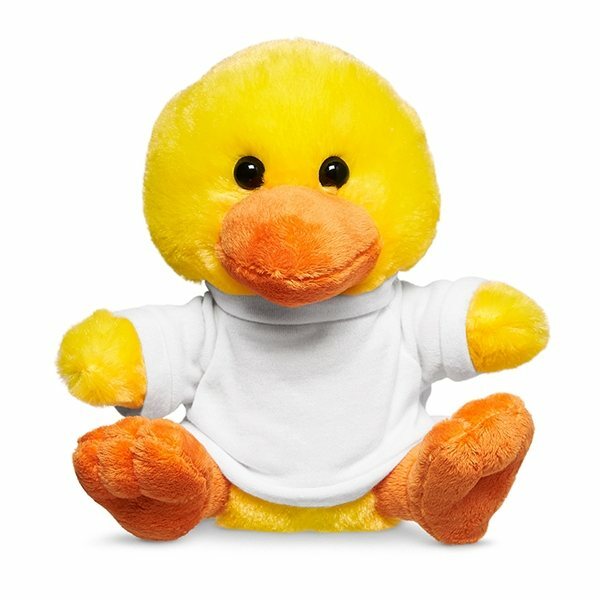 No decoration available directly on the plush animals. 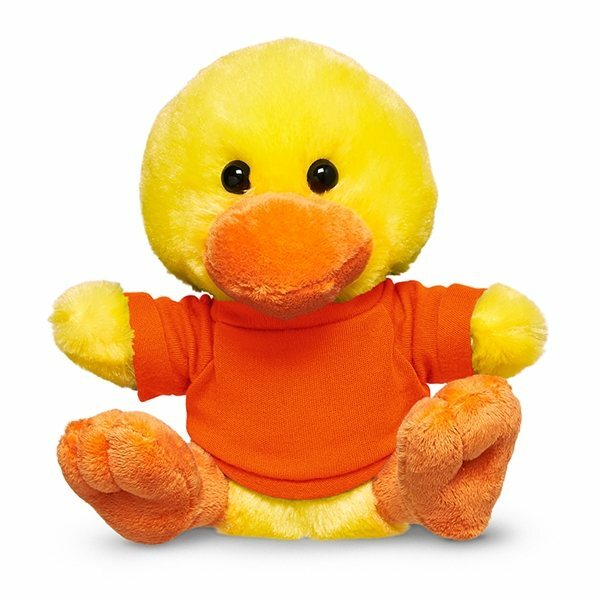 Duckss are made of Polyester plush with plush fill, plastic eyes, super soft orange Velboa beak and flippers and T-shirts are 100% Polyester. 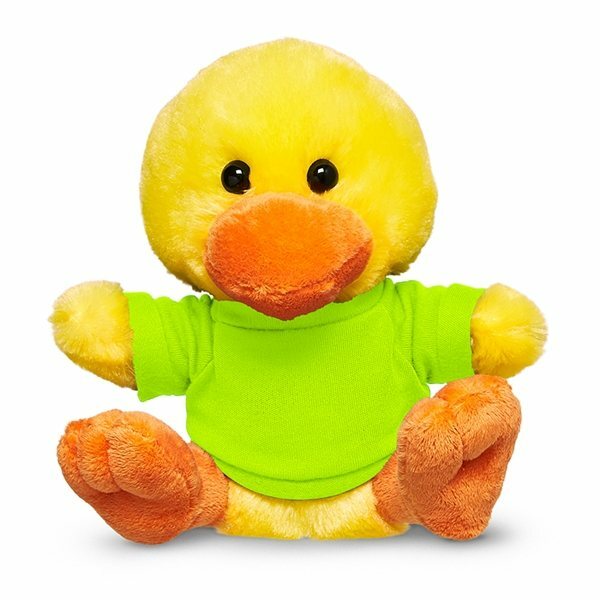 Toy safety tested to ASTM F963 specification.